At one glance I loved you with a thousand hearts. Your first glance at her took your breath away, now this gift will take her breath away. 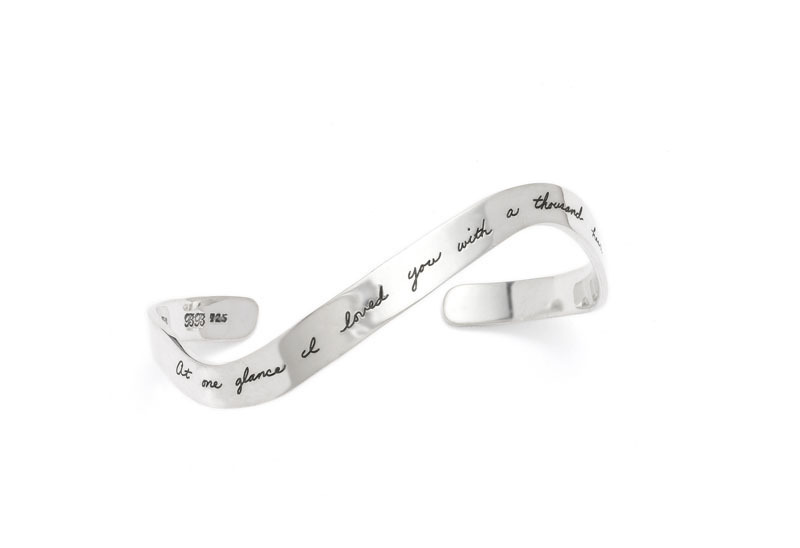 The unique sterling silver piece is engraved by hand. Its special shape makes it a great gift for that special person in your life. Also we are told a parent often thinks of a daughter when seeing this message.